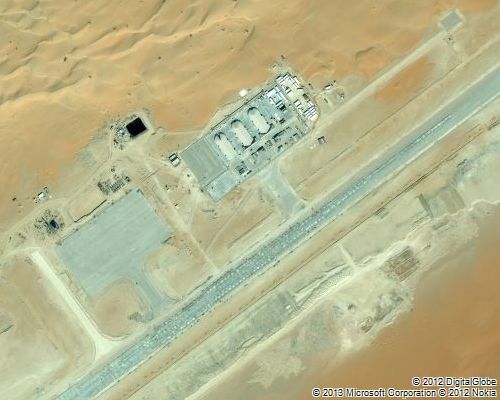 Images of a secret American drone base in Saudi Arabia purportedly surfaced in US media Thursday. The images of the base show that the size and shape of the hangars are consistent with other American drone bases in Afghanistan and Pakistan, the magazine reported. Wired quoted former intelligence officials as saying that the base seen on Bing Maps is the secret drone base mainly because of its proximity to the Yemeni border and the manner in which the base is well hidden in the terrain. The base could not be found on Google Maps. When the satellite imaging company Digital Globe flew over the area on 17 November 2010 there was no base; however, when the company flew over the same area on 22 March 2012 the base was there. The timing of the base disclosure by the American media coincides with the leak of a Justice Department white paper summing up the Obama administration’s guidelines for killing American citizens abroad.